Address: Ardvarna, Ballaghaderreen, Co. Roscommon. 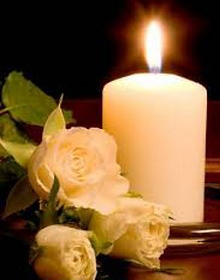 The death has occurred of Thomas (Tommy) Grady, Ardvarna, Ballaghadereen, Co. Roscommon. (Peacefully) at Mayo University Hospital, Castlebar. Tommy will be sadly missed by his sister Annie, nephew Oliver, nieces Martina & Margaret (Castlerea), grandnieces, grandnephews, extended family, relatives and friends. Reposing at The Sharkey Funeral Home, Ballaghaderreen from 5.30pm on Thursday evening with removal at 7.30pm to St. Aidan’s Church, Monasteraden. Mass of the Resurrection at 12 noon on Friday. Burial afterwards in Kilcolman Cemetery, Ballaghaderreen.